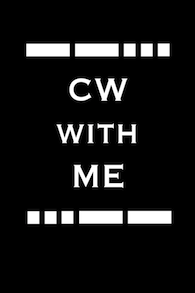 CW with Me is an Internet based app to help with learning CW. Why listen to random, computer generated letters and words? Practice your CW decoding with real people. When a new message comes in, press play and decode the CW. Unhide the message and compare what you wrote. Great work Nick! This is major fun! Copyright © 2011 Pignology, LLC. All Rights reserved.